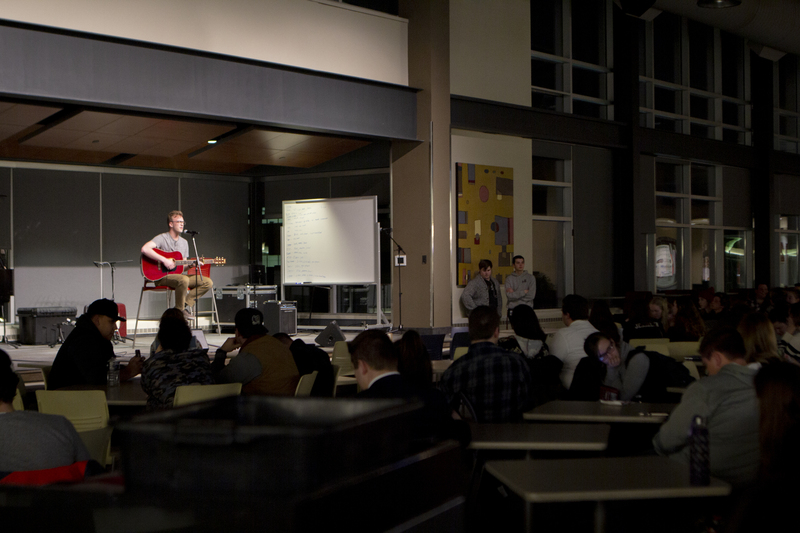 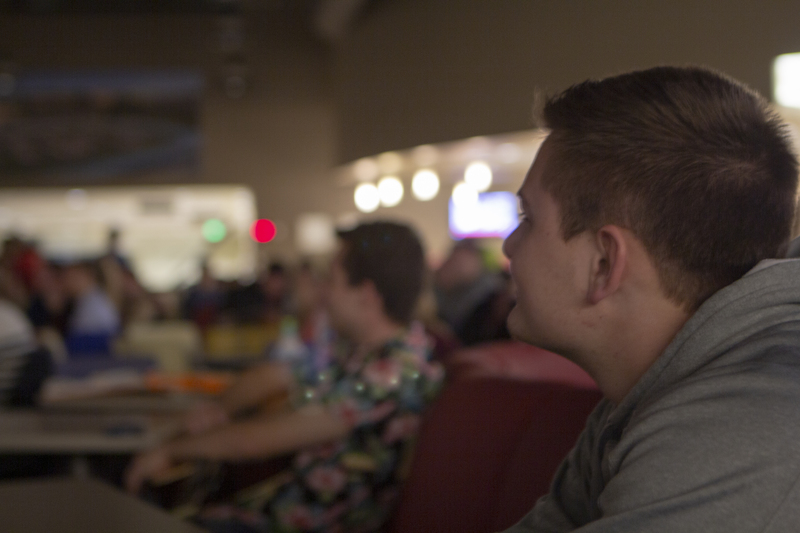 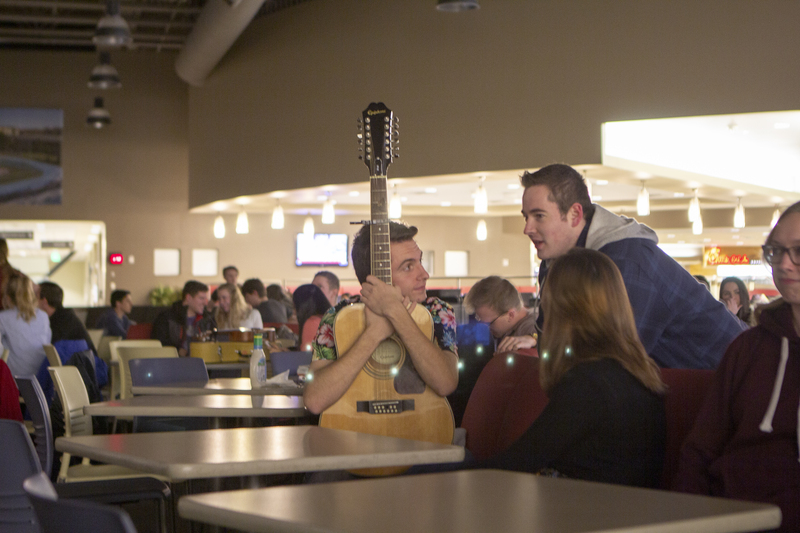 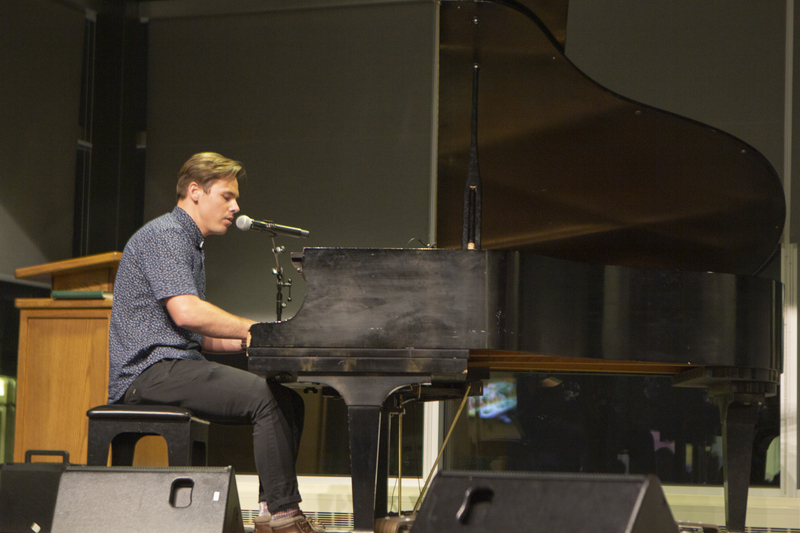 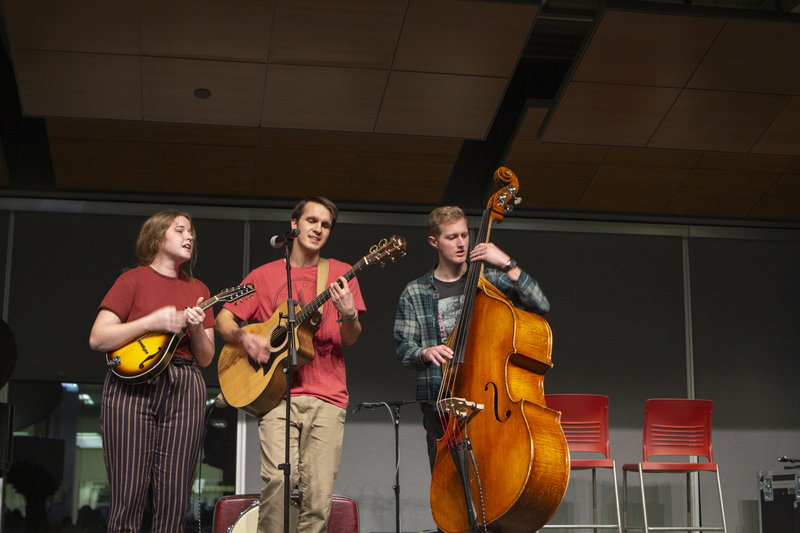 The seats of the Hyrum Manwaring Center filled quickly leading up to Acoustic Café at 7 p.m. on Friday night. 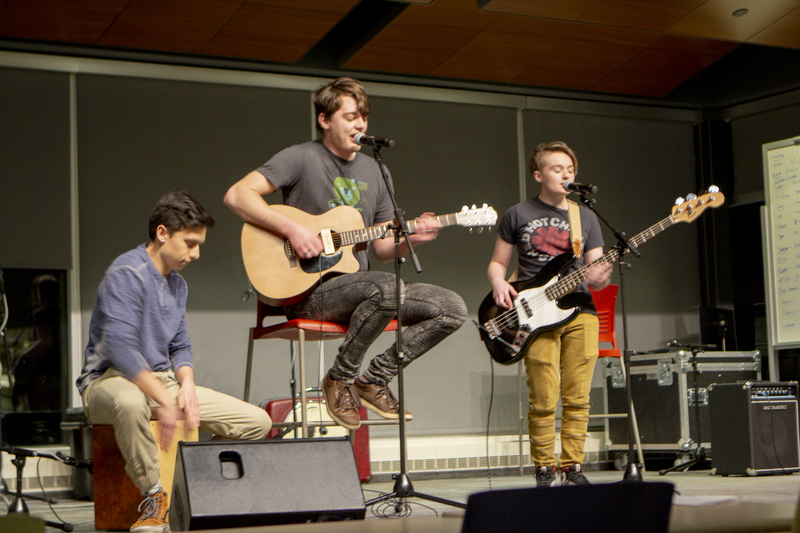 Some students held guitars on their laps and strummed quietly, fingers sliding on the strings one last time before they would go on stage. 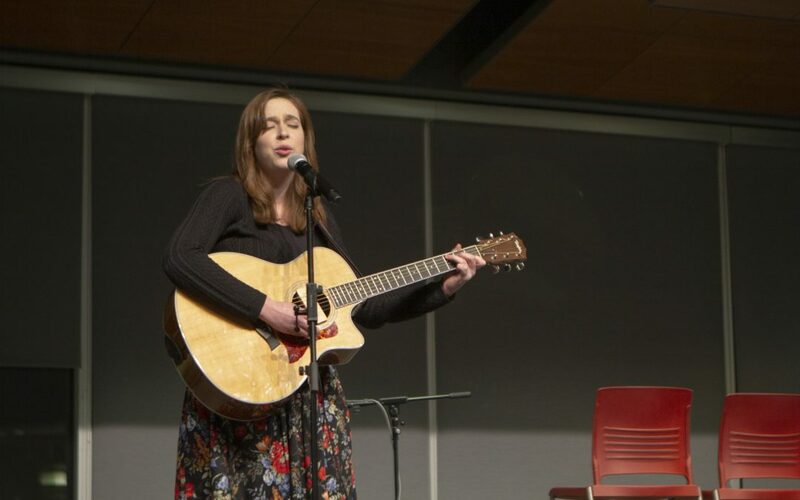 Erin Roach, a sophomore studying communication, performed a song she wrote in the Missionary Training Center before she went on her mission to Germany. 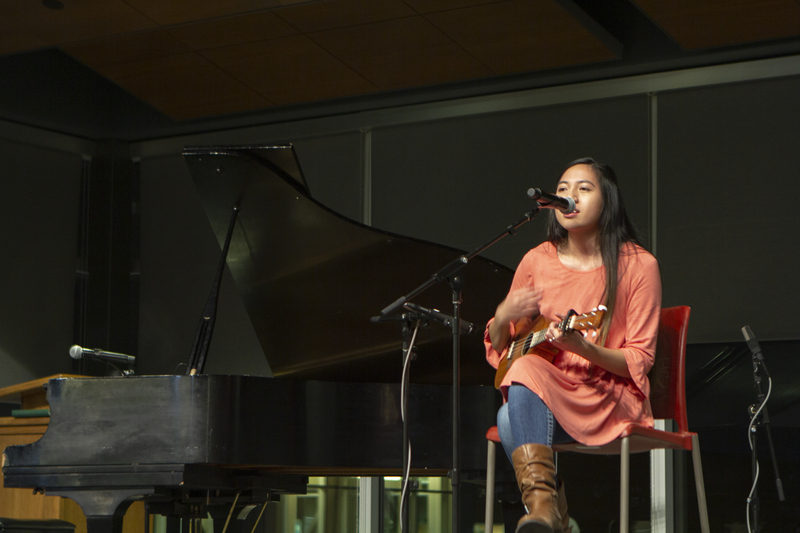 “I love sharing my testimony through music; it always brings the Spirit,” Roach said. 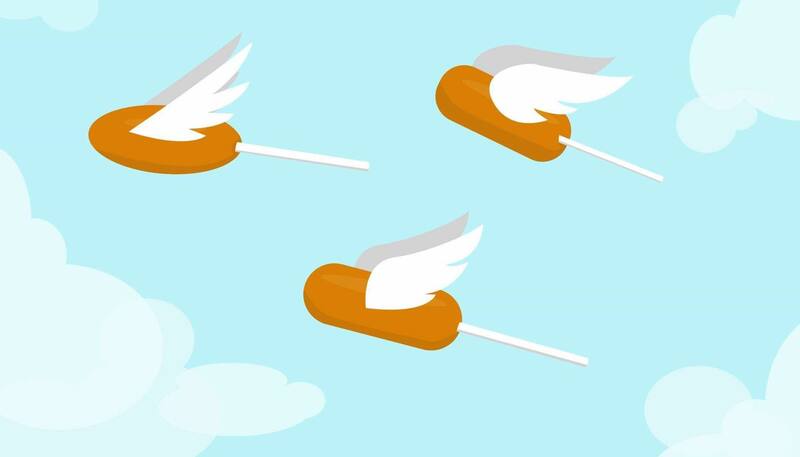 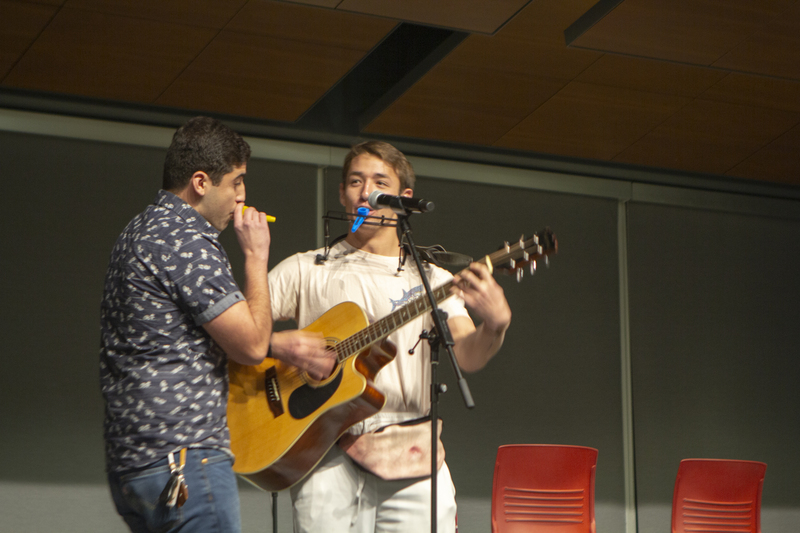 Musicians played music ranging from originals to covers of popular songs and a song about corn dogs, which ended with the performer throwing corn dogs through the air into the crowd. 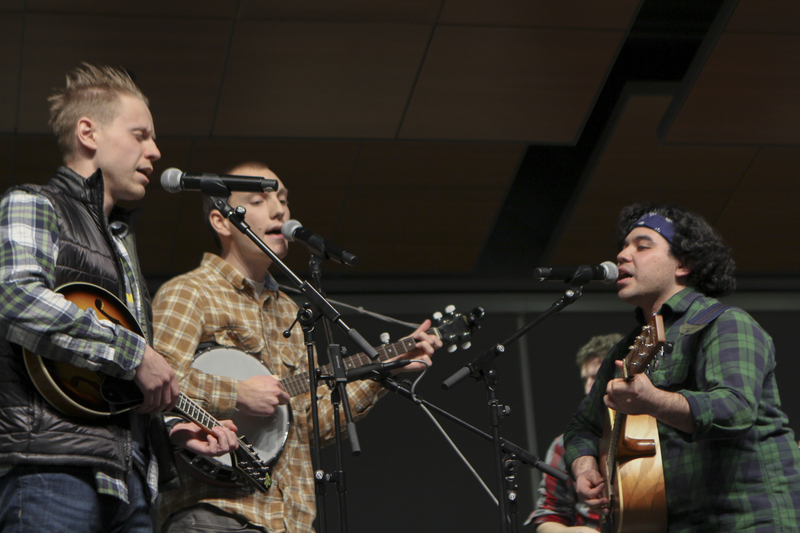 After each song, the audience in the seats of the Manwaring Center would roar into applause.